Ilana Gershon: While this book ostensibly focuses on one radio presenter, because Gogo Breeze interacts with such a broad range of the public, one has to know a tremendous amount about Zambian agriculture, legal and informal inheritance, and so on, to understand how he functions as a radio personality. This presents a significant organizational dilemma for a monograph that will be read by non-Africanists. How did you decide to focus on Gogo Breeze and what choices were you struggling with as you organized the book? 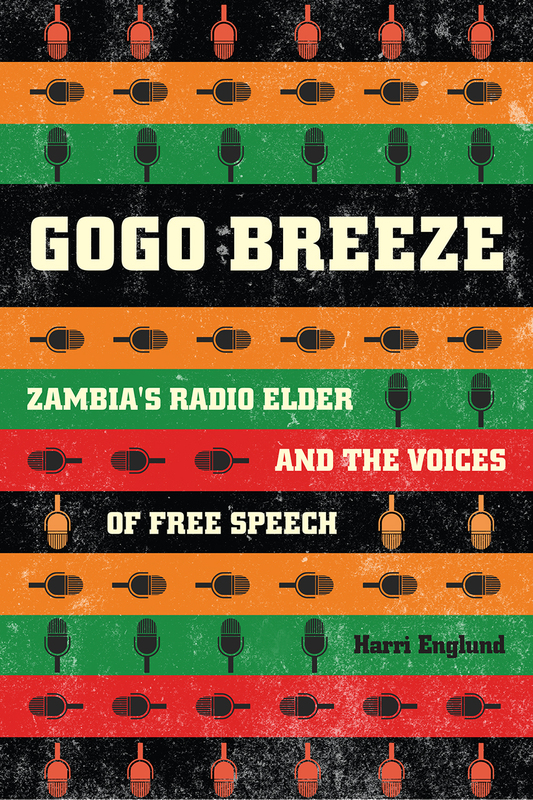 Harri Englund: Although he is not the owner of the radio station Breeze FM, Gogo Breeze is by far the station’s most popular personality – a household name in Zambia’s Eastern Province. Even a blind would have seen in him a fascinating subject for anthropological research. However, one of the challenges I faced was to think of ways of making my study more than a biographical account. Here I found some help in the extended-case method that I had used in my previous work. A basic point in that method is that although the anthropologist may focus on a person or an event, that focus is merely a starting point for exploring relationships and networks of variable scales. It always surprises me how unaware anthropologists working in other world regions seem to be of this method that was developed by people such as A. L. Epstein, J. Clyde Mitchell, and Victor Turner on the basis of their work in Zambia and Malawi in the 1950s and 1960s. Many of the processual and reflective issues that became prominent in anthropology more recently were, to some extent, prefigured by the extended-case method. It may be a measure of the dominance of American authors and “schools” in the post -1980s Anglophone anthropology that these methodological innovations in the discipline’s past have been forgotten. In any case, while Gogo Breeze is based on other methods than the extended-case method alone, it made me wove issues such as agricultural policies or inheritance rules into the narratives themselves rather than devoting separate chapters to a “context.” Such a separation between contextual and analytical chapters could result in the false impression that what happens on the ground is merely an illustration of structural principles at the macro level. It was in response to Malinowski’s use of the case method as an “apt illustration” that the extended-case method got developed. The aim was to capture in the unfolding of actual relationships, conflicts, crises, and events potential for transformation and thereby to show that not everything in social life flows from some first principles. The added challenge for me was to pursue this methodology where it had never been attempted before – in the study of mass mediation and its apparent detachment from personal relationships. Although I did not develop the point in the book, the study of ritual, such as in Turner’s work, could of course offer some parallels in this regard. Ilana Gershon: How does Gogo Breeze, the radio announcer at the heart of this book, create webs of obligations despite or because of how ethereal the utterances through radio as a medium can seem to Zambians? Harri Englund: The topic of obligations is a prime example of how the book seeks to integrate the study of personal relationships with the interest in mass mediation. I also have other reasons for being interested in obligations as an issue in anthropological theory. One formative interest I have had ever since my graduate research in the early 1990s is the forms that liberal theory and practice have taken in Africa and in the study and critique of human rights. In so far as the so-called rights discourse has often become rather thin on the complex ways in which people are subject to cross-cutting relationships and networks, anthropology would have something to contribute from its past insights into obligations. But just as obligations (or duties) are too simplistically imagined as the flipside of rights in the rights discourse, so too have anthropologists, especially those who don’t work in Africa, tended to forget how much work there is in the discipline on the topic of obligations – or they have tended to see obligations as some Durkheimian or structural-functionalist counterpoint to “freedom” or “ethics.” The more sophisticated recent work on morality by anthropologists is much less committed to pitting freedom and obligation against each other, but reading Meyer Fortes or Max Gluckman could have led to similar recognition much earlier in that literature. My dissertation looked at how media impacts community. Specifically, how does the global circulation of regular publications help create a sense of community among 8 million Jehovah’s Witnesses in more than 200 countries, and how do we know that these publications are key? Before writing this blog, I spent a lot of time thinking about the affordances of new technologies: was I supposed to look at the page numbered 99, or the 99th page of the PDF file? As an anthropologist, I’m not normally in the business of talking about intentions – but Ford Madox Ford died well before the age of the PDF, so I started with the page numbered 99. Additionally, I visited both Jehovah’s Witness worldwide headquarters in Brooklyn, New York and the Mexico Branch Office near Mexico City. Worldwide headquarters, collectively known as Bethel, include collections of buildings in three New York cities: Brooklyn, Paterson, and Wallkill, where a total of nearly four thousand Witnesses live and work. Jehovah’s Witnesses from elsewhere in Mexico first arrived in Zapotitlán in the mid-1940s and had converted approximately half the population by 1959 (Turner 1972: 90). Community members seem to get along well despite these divisions, but there are some aspects of life in which they are strongly felt. For example, most Mexican communities hold large festivals on the holiday associated with the town’s patron saint. In Zapotitlán, however, since Catholics are not a majority and adherents of other religions do not want to contribute or participate, these events are no longer held. The page then moves into an anecdote about religious responses to the celebration of an important political anniversary in the town. It sets the scene, to be sure – but it doesn’t fully succeed at capturing the tensions between the centralized global institution and the practices of one small community. For that, you might still need to read the whole thing. Barchas-Lichtenstein, Jena. 2013. “When the dead are resurrected, how are we going to speak to them?”: Jehovah’s Witnesses and the Use of Indigenous Languages in the Globalizing Textual Community. Ph.D. Dissertation. University of California, Los Angeles. My dissertation explores media networks within the Chicago culinary industry. At three fieldwork sites I conducted participant observation and employee ethnography with media producers, chefs, and software app developers at the intersections of food and media. My main theoretical focus is on how different actors experience and adapt to digital media’s impact on culinary culture. Using the concepts of hypermediacy, authenticity, and immediacy, I demonstrate the struggle emerging between these networks and highlight the very real barriers to successful collaboration prosumerism is breeding across production cultures. The Audio Feast brought in five famous chefs to represent the winning documentaries in a food event focused on dialogue rather than degustation. The awkward premise shined a light on the highly divergent perspectives, processes, and products of the participant groups. Audio producers use scripted material and careful production to simulate the authentic through hypermediation. Chefs, on the other hand, deliver authenticity through the immediacy of production, distribution, and consumption. As the event organizers, the media experts dictated logistics, creating a counterfeit culinary environment in which the media novices, the chefs, were required to perform. The chefs found it challenging to adapt their production culture and largely defaulted to the immediacy-focused taste, temperature, and timing of their milieu, even though the audience would not eat their food. When chefs were able to sublimate their own ethos and embrace the hallmarks of new media, crafting (inedible) Instagrammable food and sharing emotionally compelling narratives, they achieved some level of audience connection. But the collaboration, on the whole, was fraught with conflict and consternation and showcased the lengths to which media novices will go to avoid media production—even at the cost of their own authenticity. Ultimately, the Audio Feast exchanged participation for exposure, allowing the chefs to sidestep media creation and prosumption while shining a light on the spoils prosumerism promises to deliver. My dissertation draws from this example as I move through the interconnected web of the culinary community, further exposing the trajectory of a culture growing increasingly more reliant on hypermediation to discover, feel, and claim tangible human experiences. How will this change the way we eat? We can only anticipate the #flavorofthefuture. Leigh Bush. Slow Food and Fast Fast Flows: Chefs, Cuisine, and Convergence. Ph.D. Dissertation. Indiana University, Bloomington, 2017. If you were in a long customs line, like the one in the complex and evocative vignette with which you open your book, and you struck up a conversation with an immigration lawyer who happened to be just ahead of you in line, how would you describe your book? Any migrant almost always exceeds the legal category they inhabit for US immigration purposes and this “excess” is a central concern in my book. I would probably focus on describing the communicative practices that people in my study use to navigate and fit into the legal categories available to them, including various visa categories. Lawyers are of course extremely aware of the complexities of people’s experiences when they try to construct a client’s case as compelling for any type of relief, but they also for obvious reasons need to shy away from engaging how people’s communicative practices are performative and context-dependent. Migration is both a social and signifying practice that link the individual to the social collectivity. In contexts of migration, the migrant body is the center of these processes of signification; it is that which is read by others—for example, immigration officers, Anglo-Americans and non-migrant relatives—and that which in the most fundamental sense mediates all action upon the world. In the book at large, I discuss how the larger constraints of the migration process—and of social and racial orders more generally—constantly prompts migrants to communicate to others— U.S. immigration officials, Peruvian government officials, elite Peruvians, people in their home towns, US employers, and wider publics—an image of who they are or are expected to be and how they wish to be seen. Such images are necessarily always partial; indeed, they deny any facile claims to legibility embedded in normative and ideal-typical representations of who is a “Peruvian,” an “immigrant,” a “non-citizen,” a “refugee,” and so on. This is where the anthropological perspective is different from the legal one and could produce interesting debates! How have biometric technologies changed people’s experiences of traveling between Peru and the United States? Before the implementation of biometric passports and screening systems at USCIS checkpoints, it was still relatively easy for someone from Latin America to travel on someone else’s passport. In Mobile Selves, I give the example of two brothers who used the same passport to enter the US sometime in the 1990s. One of them told me: “We look like each other…and they [that is, the immigration authorities] can’t tell the difference anyway. To the gringos all cholos look the same.” But in the biometric era, not all cholos “read” the same! Biometric technologies transform the body’s surfaces and characteristics into digital codes to be ‘read’ by a machine. But the meaning of the biometric body is always contingent upon the social and racial contexts in which it will be read and how it is tied to identity from the perspective of the social and political institutions that control the international movement of people. But of course, as many critics of biometrics have also argued, the burden of surveillance will continue to fall disproportionately on poor, marginal, and racialized communities. That is one of the problems with biometrics. The heavier reliance on biometric identification also puts more weight on the visa interview and less on a portfolio of supporting documents. An average visa interview at the US consulate in Lima now lasts 3-5 minutes, and this opens up for all sorts of questions about the arbitrariness and the social and racial logics by which visa decisions are made, including about the issuing officer’s assumption about some people’s worthiness of a US visa over others. I think biometric technologies have intensified many people’s experience of being subjected to a controlling racial regime. You describe how the experience of transnational migration has changed for people because of all the possible media people can now use to connect with family members back home. Yet just because these technologies exist doesn’t mean that it is socially possible for Peruvian migrants to use them. I was wondering if you could say a little bit about some of the social complications surrounding these technologies that make using these technologies a challenge both for those in Peru and those in the United States. It is often assumed that just because communication technology exists, it will automatically make us feel more connected to our loved ones across time and space. But the expectation that you have to be reachable and connected at any point in time can be both exhausting, impractical, and also undesirable – we all know this from our daily lives! Such expectations were often difficult to meet both for labor migrants abroad as well as for family members in Peru, because of complicated work schedules, long workdays, little free time at their disposal, controlling employers or workplace surveillance, or limited options to connect in rural areas in Peru. This is the main issue with celebratory accounts of the affordances that new media environments are supposed to offer for the enactment and experience of social relations across time and space. Yes, disenfranchised migrant mothers can use Skype or Facetime to check in on their children from afar, but this technologically mediated form of communication cannot substitute the intense multi-sensorial experience of being able to tug your own kid (not someone else’s) into bed at night or to be there for them if they wake up in the middle of the night after a nightmare or if something bad happens at school. Considering these complex social dynamics undergirded by global inequality, I disagree with scholars who diminish or even disregard the social and emotional cost of separation by proposing that polymedia environments contribute to making the absent other tangible and therefore come to constitute the other person and hence the relationship itself. For most people in my study, new technologies could alter feelings by momentarily collapsing distance and institute forms of co-presence, but at the end of the day most migrant mothers lived on in the United States mourning the prolonged separation from their children and other relatives. Along with this, the feelings of abandonment in some children towards their migrant parents extend into their adolescence and adulthood as resentments that cannot easily be undone even as a person grows up and acquires more tools to understand your parent’s actions. Feelings such as pain, loss, suffering over separation and distance, longing, sadness, and nostalgia or the more positive ones such as love, compassion, intimacy, and belonging continued to animate the lives of migrants in affective and material ways despite the changing technologies used to produce these social and intersubjective relationships through long-distance communication. I was wondering if you could discuss the different attitudes Peruvian migrants have towards audio-cassettes and videocassettes, and how these different media ideologies shaped the genres people use to circulate images and stories circulated between Peru and the U.S. Absolutely. Most recent migrants are constantly preoccupied with maintaining the social bonds of kinship with family and relatives left behind via long-distance communication, remitting small amounts of money from their meager entry-level U.S. salaries, and by circulating a variety of material and media objects. In this way, they seek to remain emotionally connected and relevant in the everyday lives of their families in Peru and socially visible in the communities they left behind. For example, in Chapter 3, I evoke the concept of “remote sensing” specifically to discuss the attempts of migrant parents to “feel” and “know” their children’s lives and whereabouts from afar. This communicative, sensory, and mediated practice, which employ both aural and visual technologies, regularly plays out against dominant social norms that cast “communicative” migrants abroad in a favorable light back home as caring mothers, responsible fathers, dutiful daughters, and reliable and dependable “hijos ausentes” (that is, absent sons and daughters of their rural communities of origin). But in the context of the prolonged separation caused by migration, “remote sensing”, I suggest, amplifies rather than ameliorates the social and emotional struggles of transnational families, because participants are often not able to perform according to the roles set for them by gendered and intergenerational normative frameworks. In this way, long-distance communication, as a form of social, cultural, and affective practice, is often fraught with tension, uncertainty, and power inequalities. Some migrants in my study preferred visual means of communication and they claimed it gave them the added effect of seeing their loved ones. There was often an assumption that you can “fake it” over the phone but you cannot conceal your true feelings when video chatting (even if all forms of communication are of course performative – also face-to-face communication whether mediated by video or not). Many migrants also “produced” videos to send to their family members – either of everyday life or special occasions such as community events or fiestas. I show in the book how video production, consumption, and circulation figure centrally in migrants’ staging of their own social visibility as “worldly” and “cosmopolitan” ex-campesinos. Participants in my study were highly invested in monitoring, selecting, and negotiating the criteria for which images of migrant life abroad could be shared with those back in Peru and what, in turn, had to be made invisible and left out of circulation to avoid rumors, tensions, and accusations within transnational families or among paisanos back home. Of course sometimes particular image objects escaped intended networks of circulation and moved beyond specific audiences. In these cases, imagery served as “visual evidence” that could complicate people’s efforts of self-fashioning. I show how such revelations have implications for the production of social cohesion within transnational migrant collectivities, and how circulating images may serve as new forms of social control and surveillance. In sum, visual and oral forms of communication have significant differences but both extend and also complicate social relations and in their own way expose the inherent tensions and ambiguities of the migrant/transnational condition of Andean Peruvians.You published this book before Trump was elected, turning anti-immigration sentiment into an official government position. If you had a chance to talk to a room full of Trump supporters who were willing to listening respectfully to academics, what would you like them to know about your research? Ha ha—fact-seeking Trump supporters? That seems like a hypothetical scenario at this point in time, but ok… I would probably feel compelled to first talk about the many contributions of immigrants—Latin Americans, in particular—to the US economy and society and to expel some of the many “alternative facts” about these populations circulated by the Trump administration’s propaganda machinery. What currently counts as “immigration policy” in the US is a series of contradictory piecemeal actions, most of them based on long-lived racial anxieties and nativist ideologies, which do not add up to any coherent policy. Unfortunately, by not having a coherent immigration policy, the US has become a world leader in the undermining of human potential. Trump’s recent decision to end DACA is a text-book example of such complete lack of perspective. 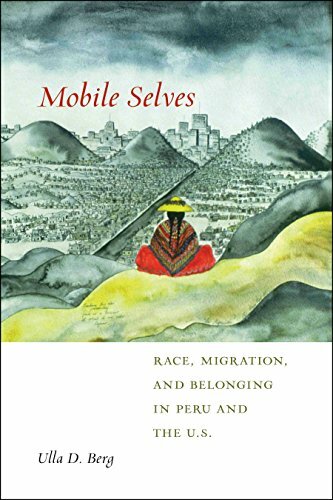 I would give examples of the profound existential resourcefulness of most of the mobile Peruvians I came to know during my research to show Trump supporters how the drive to better oneself and the larger community is not a US invention but one that is widely shared by migrants around the world; one that cannot but make America much greater in the future than what it currently is today. Immigrants don’t take jobs, they create them. We are not parasitical on the US economy; we make this economy happen on a daily basis. Hopefully, the Trump era will soon be reduced to a crazy minor parenthesis in modern US history, but what not only a room full of attentive Trump supporters specifically, but US whites more generally must acknowledge and work to change is how in the United States mobility is intimately tied to race and privilege (or the lack thereof). This is one of the basic points of the book that I would attempt to convey in such a situation. The integration of ethnographic detail, media theory, and analysis throughout your book creates a fluid space for critical thought, as well as enchantment with the subject matter. Writing multi-sited ethnography is a notoriously difficult task. How did you first decide that having a comparative framework was necessary for your analysis? What structuring insights guided your writing process? Thank you. Yes, transnational multi-sited ethnography is very challenging. Due to time and funding constraints, you can’t always spend equal amounts of time in each place (and even if you do, there’s no guarantee that you’ll come away with commensurate observations). Yet multi-sited ethnography is also rewarding, as you acquire various perspectives. More than a comparative study, I consider this ethnography a connective study. Comparison is built into multi-sited ethnography, as George Marcus has said. Yet there are some fundamental similarities between many entertainment industries around the world, especially commercially-driven ones. So, I intended to “follow the activity” into differently located sites with their own particular histories and contexts, to discover specificities as well as commonalities and links between the industries. Both the Hollywood and Hong Kong media industries operate at multiple scales, simultaneously, and I tried to capture that. They may present as fairly self-contained and separable from one another. Certainly in the day-to-day production process, people are often deeply immersed within their immediate environments. However, the entirety of the production activities of these two industries is not always contained within the city in which their industry is based. Sometimes filming has to occur on location, across state, national, or regional borders. Or, a production may bring in talent or money from other parts of the world. And in fact, Hollywood and Hong Kong have been directly connected to each for about a century through particular individuals, ideas, and financial investments. The Hollywood and Hong Kong industries also share a long history of being highly commercial, and both have had to increasingly contend with China’s growing film industry – more directly than most other national film industries. Both are seeing more and more of their projects and their workers physically cross borders for economic reasons. And both have tended to be male-dominated at the studio executive level and on set. Therefore, despite their differences, Hollywood and Hong Kong share many concerns and issues. This is why I didn’t organize the book into separate geographies; there is no pure “Hong Kong Section” or “Hollywood Section”: neither place exists in isolation. In trying to convey film and television production as a diffused, transnational practice, we move back and forth across specific sites within chapters, which combine findings from both places. So, I refer to this book as a connective study because I explore material and thematic links between the two industrial centers, alongside the contrasts. Now, there are a couple chapters that deal primarily with one site, but even those still refer to the other site. For instance, in the chapter devoted mostly to Hollywood, I included observations of Hong Kong filmmakers working at a Los Angeles studio, partly as a way to show how in its own backyard (or, backlot), Hollywood is more transnational in its production activities than even it realizes sometimes – and reliant on Asian labor. In our contemporary globalized world, we often operate in industries or institutions that may appear very geographically contained yet are actually quite porous. As a result, place-based worker identities in the States and Hong Kong have been caught up in issues of nativism and racism in the former and localism in the latter. I found your concept of “media assemblages” to be a portable tool for comparing very different media worlds. Ethnography stands as the anthropologist’s media of choice to disentangle and explicate the assemblages in field research by constructively distancing them from the spectacles of the anthropologist’s fascinations. However, if you were going to make a documentary film of this book, how would you envision it? Who would be your intended audience, and how would it compare to the audience of this book? Making this book into a documentary is a great idea! I’d focus on my finding about the intersection of religion and media production. Some people are surprised to hear that Hollywood studios skip “unlucky” 13 in their numbered sound stages, one studio having even kept a psychic on its payroll (confirming industry hype about “the magic of moviemaking”!). And folks in Hollywood are intrigued to hear about incense burning on Hong Kong film sets to ensure an auspicious shoot, as well as astrological forecasting. Meanwhile, they themselves may collect St. Clare of Assisi icons (she’s the patron saint of television) to help them through the various challenges of filming – the social and emotional risks as well as physical and financial ones. For instance, when filming a death scene in either industry, concerns about mortality can trouble the cast and crew, immersed as they are in these stylized settings. Why this particular focus? The assumption that there is an absence of religion in the culture of industrial production remains quite strong among people I talk to in both the U.S. and East Asia (especially the United States). The assumption is fueled by economic rationalization and the Enlightenment narrative of a steady march towards scientific reason. Sometimes people see its presence, but they don’t think about its implications. Anthropologists know that modernity doesn’t mean the loss of mysticism. And people who study performance or religion know that there is a long history of the two being intertwined. But a public anthropology film that shows actors reading Scripture on set or producers budgeting for the hoih geng lai (“opening lens”) ceremony would help general audiences see that “modern” and technologically sophisticated workplaces are not free of religion and spiritual expressions, especially in industries that hinge on so much uncertainty and insecurity. Anthropologists have a lot to offer in helping people to question received categories. Despite the presumed secularity of commercial media environments, actually, expressions of religion and the supernatural are enfolded, sometimes expected, in the very spaces and practices of these businesses. They can even guide work decisions, such as when and where to film. Hopefully such a film would generate more conversations about the precarious conditions of media labor, and the experience of contemporary work in general. It would make evident to people that we do indeed draw from a variety of cultural elements to make our labor more meaningful, to legitimize decisions, and to protect ourselves as we work, even (especially) in bureaucratic or mechanized settings. The question could then be raised: what other professional workspaces and activities commonly considered secular are actually influenced by, or inclusive of, expressions of formal or informal religion as well as the supernatural? Trading floors? Science labs? Our understanding of managerial accountability and decision-making may then take on another dimension. This becomes particularly relevant as we consider the implications of automated labor and robot replacements, especially in an industry that increasingly relies upon computer-generated images and digital doubles to enhance or replace the human form. We should think deeply about what it is that human beings bring to the workplace. In addition to the particular skills or talents we offer, people harbor foibles and fears, inspirations and intuitions; these are not mutually exclusive. Our memories of past experiences and anticipations of future events shape our productive capabilities. Our cosmologies – the way we think about the universe whether we’re atheists or adherents – also play a role in formulating our outlook and our decision-making in the workplace (explicitly stated or not). Although corporations and labor management often discourage you from bringing the totality of who you are to work, and some people become quite successful at partitioning themselves (with recent advances in robotics likely to intensify the pressure to do so), not everyone can accomplish this, nor, perhaps, should we always strive to. In your chapter on “Affective Labor” you illuminate the critical emotive aspects of film production that often take backstage to the “effects” of film reception. How does industry folklore of criminal involvement and encounters with death during the production process circulate publicly? The industry folklore of those things has frequently circulated through broadcast and print media and rumors in both places. There is a history of organized crime in both industries, especially in Hollywood in the ‘30s and ‘40s. Gangsters such as Bugsy Siegel and Meyer Lansky remain part of the American popular culture landscape, inspiring books and movies. Years ago the Hong Kong actor, director, and producer Philip Chan, who actually used to be a police superintendent prior to joining the film and TV industry, spoke to Hong Kong and British media about triads in the Hong Kong entertainment world. But you don’t hear too much in the news today about organized crime in the Hollywood or Hong Kong film/TV industries. It’s also worth mentioning that literally a century ago Hollywood became a magnet for drug dealing and use. News reports and rumors of drug use (some legal, some not) among silent film stars contributed to Hollywood’s early reputation as an immoral environment. Over the years, complicated issues of accountability and ethics arose for actors in particular, a few of whom have in interviews and memoirs referred to being “offered” certain substances by production members or management to help their job performance, whether it be for energy, recovery, weight loss, and so on, somewhat similar to athletes and U.S. combat pilots. Manipulating the corporeal and emotional potentials of its workers – even creating a distracted worker – became a tactic of those who manage affective laborers. Other kinds of illegal activities are regularly reported in the media, such as managers embezzling money from actors. Especially in Hollywood, there’s a lot of contract litigation that gets covered by the trade publications and entertainment media. Other forms of potentially illegal activity, such as discrimination and sexual harassment or abuse on film/TV sets, may publicly surface through reportage of law suits, interviews, and now blogs, social media, and leaks, more so in the U.S. than Hong Kong. The amount of unpaid labor in Hollywood via internships has also come under recent legal and media scrutiny. As for fatalities, news of accidents on set in Hong Kong circulates in print media. The drowning death of a cameraman on a Jackie Chan film a few years ago in Hong Kong (which was a US/China/HK co-production) was reported around the world because of the big names involved on the film. Accidents during filming on Hollywood projects typically appear in Hollywood trade publications as well as American mainstream media. Regarding the very recent death of stuntman Jon Bernecker on the set of the American TV show The Walking Dead, I was glad to see that the L.A. Times included quotes from OSHA about the lack of workplace protections in its coverage. This kind of context and scrutiny by journalists in both places is needed, especially for productions that film on location, where safety is not always so rigorously followed and rushed schedules can lead to very dangerous mistakes. You weave together a complex, composite image of the Hong Kong and Hollywood film industries by analyzing their overlapping cinematic and occult histories, as well as their common mode of expression – the camera. I enjoyed peeking through the aperture of your ethnography to consider the space of film production as having its own supernatural gaze – one that shouldn’t be met head on, like that of an onstage actor. What were media workers’ relationships to image-capturing technologies in their lives offset, and how did they differ from their professional roles as mediators between worlds? When they’re working, they don’t have a lot of time off-set, in Hollywood or in Hong Kong. Between projects, the relationship to those technologies operated for many of them on a continuum. Film and TV are visual mediums. In both sites, it is in many media workers’ best professional interests to be familiar with how their work looks on-camera (depending on their job: their set design, their direction, their lighting, their angles, their bodies, and so on), as well as the latest developments in camera technologies. Many technical personnel in particular devoted some time off the set to these technologies, so it’s a pretty consistent relationship. Lots of media workers, even extras, wardrobe assistants, and set designers, often described locations or scenery they observed in their downtime with an eye to how they might look on camera. With smart phones, now “everyone” is a photographer or filmmaker and nothing is too esoteric to be captured and curated. Yet industry members striving to remain employed and competitive have for many, many decades been professionally primed to evaluate all the world as a potential film location, to assess any and all surroundings as a possible backdrop. Offset, they are still mediating between worlds: their private and professional ones. By focusing on Indian computer programmers, you are able to point out the ways in which computer programmers have racialized bodies, and how this affects their work lives. If you happened to find yourself at a dinner party seated next to a Silicon Valley recruiter, what would you want them to know about your book? My book takes sides. It’s not just descriptive, it’s provocative. It humanizes an incredibly cartoonified subset of laborers. Literally: I discuss cartoons satirizing Indian IT workers in European publications as part of my chapter on perceptions. I’d want her to know that coders from India don’t deserve the reputation they’ve been handed down as fast, cheap, and replaceable. These attributes are a result of the way the industry produces value, primarily by divvying coding projects up into creative and grunt parts, which are then given to different kinds of workers, often divided by race. And while engineers from India occupy director and management positions across the Silicon Plateaus, Alleys, Valleys, and Highways around the globe, this racial logic remains. Upper management coders from India elevate themselves above the uncreative grunt coders from India along the lines of urbanity, caste, and elite versus regional engineering college backgrounds. These divisions also reach service workers, packers, and cleaners who have access to few of the perks that accompany tech jobs. The focus of your work – IT workers in companies – is different than earlier anthropological work on coders, such as Chris Kelty or Gabriella Coleman’s work. What difference do you think it makes that the workers you focus on work for corporations? How do the organizational structures under which people labor affect people’s philosophies of coding? There is much to recommend anthropological focus on hacking and free software communities, since in those arenas, alternatives to the neoliberal organization of life often emerges in unexpected ways. But, I cannot teach about global IT without recognizing its corporate structure. Last year, the FANGs (Facebook, Amazon, Netflix, Google) accounted for at least 50% of all Internet traffic. One out of very two dollars spent on the Internet was spent on Amazon. Most of my students look forward to landing a job at Amazon. Like it or not, the Internet is dominated by corporations. Within corporations, migrant programmers readily identify the contradiction between the ways that code has to move around the world and restrictions on the global movement of people. This makes them skeptical of free software movements because they simply do not go far enough. By likening code to speech, such movements unwittingly support neoconservative political ideologies that sacrifice human well- being in the name of abstract principles. Migrant programmers diagnose this gap between free software and free people, leading them to violate many principles of what is otherwise considered ‘good’ coding, such as leaving comments that explain their work to others. You argue that one strategy that Indian IT code writers resort to is writing “inalienable” code, and thus making themselves more essential to a company in a context of temporary contracts. Could you explain a bit what it means to write inalienable code, and what effect this strategy has on the ways that these workplaces are organized? Inalienable code is a form of resistance. Global corporations compartmentalize temporary coders from India. “Grunts” resist by writing their code in such a way that makes that code harder to hand off to another, making them harder to replace. This is “inalienable code”. My book includes specific examples, like leaving bad comments or no comments at all, so that the coder is the only one who understand this part of the project. Interestingly, this is widely considered poor programming. When I began conceptualizing things like this that didn’t fit the “good programming” paradigm, I tried to think of these practices in very concrete terms. They were certainly a kind of foot dragging practice, which we know from studies of factory work is a daily opposition to the ownership of time by the employer. I get a kick out of labor practices developed in the 19th century being right at home in the 21st. “Poor programming” practices were also a means of creating a kind of wealth. These practices take the idea of knowledge work, that knowledge is capital, at its word. Thinking of aberrant coding practices as creating property and stealing time allowed me to think about the kinds of wealth coding might generate. I revisited anthropologist of the Pacific Annette Weiner’s foundational argument about inalienable wealth, in which she examined kinds of wealth that are kept back from circulation. In her scholarship, she describes wealth that, in a social scene that demands gifts and return-gifts, can be held back from these types of exchange. One of her most famous examples is a greenstone (nephrite) axe, which remained powerfully tied to the history of its victories and could only be held in trust on behalf of a group. Now apply this concept of “inalienable” wealth to coding. The way global technology companies structure employment agreements, coders do not properly own what they write. They cannot normally exert intellectual property rights over the innovations they may make. So, they instead try to create a special relationship to this wealth by taking it out of circulation—by making it the equivalent of a jade axe buried underground, valuable because it is there not because it is freely available for exchange. Of course, these practices of making code inalienable exist in the everyday alongside the exchange of coding labor for a wage, and the free exchange of solutions to programming problems that coders post to sharing sites like Stack Overflow. You point out many complex ways in which these programmers represent India to the German public, and a particular model of technological development to government officials in the Indian government. But one of your imaginative arguments is pointing out that these Indian IT workers have a relationship to India as a state that calls forth a third perspective of how workers are part and parcel of state projects. Could you explain how currently Indian IT workers overseas understand their relationship to the Indian state? This is a fascinating question right now, and it demonstrates how coding cultures can be open ended and change over time. By and large, most programmers share a soft libertarian attitude towards governments, including their own. The government should set in motion a limited number of laws, and then get out of the way. As IT workers were understood to represent the new face of Indian business, which was higher paying, innovative and relatively free from corruption, IT workers felt themselves to be the best representative of this new, economically muscular, India. But, the turmoil on the Indian political scene in the last few years has shifted the equation. India’s government, like the United States’ government, has become more nativist in recent years. Opinion about the current state of affairs in India varies widely among Indian IT workers overseas. Some support the ongoing efforts to redefine India a normatively Hindu and are not bothered by increasing inequality, pollution, and violence against minorities. Many are deeply troubled by these developments and have begun to feel displaced, neither comfortable at home, nor in the rightist, anti-immigrant regimes in the U.S. and elsewhere. You argue that these IT programmers are deeply ambivalent about how neoliberal logics recommend people should organize their lives. How do they use leisure moments as moments to reclaim control over the kinds of working selves they are expected to be and as moments of experimentation? Migrant programmers from India can recognize the failures of subjecthood under neoliberalism because as migrants, their precarious job status belies their vaunted position as knowledge workers. The protagonists of my book did all the things white collar workers are supposed to do to become successful—say, for example, getting up at 5 am to go jogging. Yet, jogging was not sustainable. They were working too many late nights for that. What happened next fascinated me. Rather than give up entirely, they walked in the local park. I name walking and related practices fragments of a politics of eros, because they inaugurated a conversation on the content of a good life. Such a conversation is otherwise evacuated under the logics of neoliberal survival. I’m not saying that walking is a perfect utopian practice; but, it is a moment when people practice inhabiting a world they want. Anyone familiar with India knows that the caste and class implications of walking in parks are complex. These moments of eros can just as easily flip into moments of asserting upper caste and upper class rights to urban public space. But, if we paint all overseas Indian IT workers with the same brush, that is, as classist, casteist, Hindu nationalists, we run the extreme danger of missing the progressive potential in their resistance to neoliberal work and its companions, such as a certain ways of exercising. Even more egregiously, we may miss the widest applicability of the conversation about the good life. How many of us can say that we are entirely satisfied by the way neoliberal logics govern our selves and our attachments? I think one of the most important tasks for anthropology is to interrogate the degree to which we, and others, are attached to these logics of hard work and self-improvement. For me, it is an ethical imperative to ask about the texture of a good life across class, caste, race, gender, and color divides. Jusionyte, Ieva. 2015. 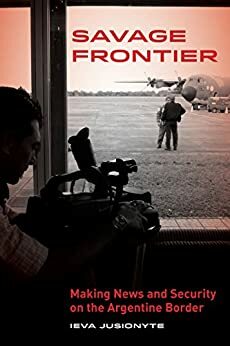 Savage Frontier: Making News and Security on the Argentine Border. Berkeley: University of California Press. What led you to study the conjunction between security and news reporting in this particular town? I have first heard about the region encompassing parts of Argentina, Brazil, and Paraguay–commonly called “tri-border area” or “triple frontier”–through the media. It was portrayed as a dangerous place, a haven of organized crime, where trafficking of drugs and people, contraband, and money laundering were rampant. Having worked as a news reporter, I was aware that journalists tend to write stories that fit into larger narratives, which media organizations adjust depending on market logic as well as on their relationship with the government. We know that the media can both work as a propaganda machine, serving to uphold state ideologies, and it can be used as a watchdog on the political and economic establishment. My decision to go to the tri-border area was motivated by a wish to understand how local journalists, who live in the town about which they write, maneuver and maintain the boundary that divides illegal activities into two categories: those that can be made into news and those that must remain public secrets. Unlike reporters sent by national or international media, who come to the border looking for sensational stories and often reproduce the narrative of the violent and savage frontier, local journalists are also residents of the area, so they are directly invested in solving existing problems of crime and insecurity in their neighborhoods at the same time that they seek to depict the place as a safe destination for tourists. In the book, I show the day-to-day realities of journalists, as they balance between making news and making security, and argue that media practices in a remote border area must be understood within the historical context of state violence in the region. How does turning to news-making as a fieldsite illuminate a distinctive connection between national identity and national security? 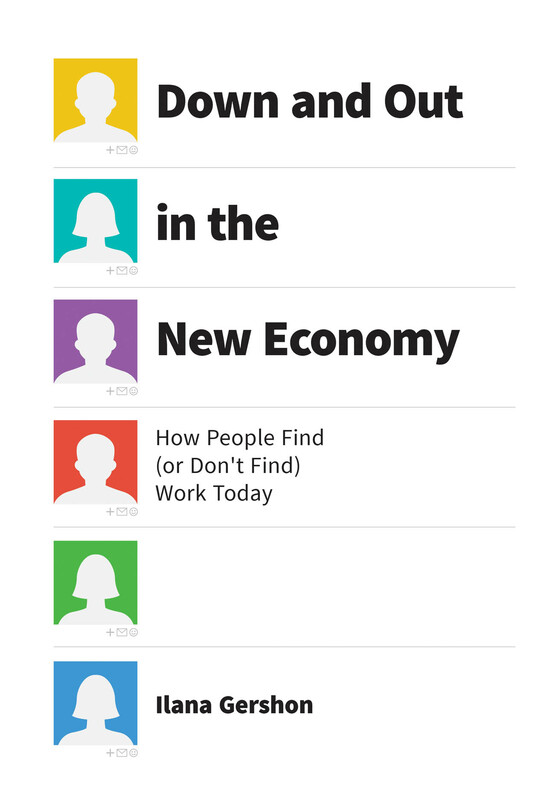 News-making is a key site in which national identity is produced and through which it is circulated. The idea that the press serves as a vehicle for creating nations as “imagined communities” is attributed to Benedict Anderson, and although his thesis has drawn criticism regarding the historical accuracy of his claims as they apply to Latin America, it continues to illuminate the process and the conditions of nation-building. Perhaps nowhere is this as clear as it is in the borderlands, at the edges of nation-state sovereignty, where the airwaves of one country compete against those of its neighbor’s. In the second half of the 20th century, when Argentina, Brazil, and other states in the region became concerned with national security (this was especially notable during the military regimes), the governments began paying much more attention to media broadcasters in border areas: investing in radio and television infrastructure, as a means to spread political discourses emanating from the state’s capital, was akin to defending the nation against a foreign invasion–one that was not carried out by an army of soldiers but advanced by cultural programming. In the tri-border area, this competition was between Argentine and Paraguayan media, transmitting in Spanish, and Brazilian media, transmitting in Portuguese. This battle over airwaves is still ongoing: complaints that signals from more potent Brazilian antennas were interfering with Argentine radio and television broadcasts were recurrent issues debated in town council meetings during my fieldwork–a proof that in the border region questions of national identity and national security continue to be highly contested to this day. How do journalists’ symbiotic relationships with security forces such as police and military officers affect how crime is reported? Security forces have a strong presence in the border area and they provide a substantial amount of news material for the local media, covering a wide range of topics, from routine crime investigations to military ceremonies and parades to large-scale intelligence operations. It is a symbiotic relationship because journalists need stories (reporters are often asked to produce half a dozen news pieces per day), while security forces want good publicity of their work and readily provide the media with interviews and press releases. However, this convenient arrangement means that journalists rarely ask difficult questions, for example, regarding police impunity, corruption, and complicity with criminal actors and organizations. Usually, crime stories are authored and authorized by the security forces, with the media serving merely as the outlet for circulating the official version of events to the public. But not all towns in the tri-border area are alike. Compared to the Argentine border town of Puerto Iguazú, where local news organizations are rather weak, do not have resources or training to do investigative journalism, and cannot protect reporters if they decided to pursue such stories, some media companies in Ciudad del Este, a larger city on the Paraguayan side of the border, have done important investigations into organized crime. Nevertheless, due to corruption that entangles politicians, business owners, law enforcement, and even the media, critical crime reporting remains severely limited in the region. Often what is illegal is still socially acceptable, and especially in your fieldsite of a border town. How did journalists engage with this tension? Did the medium the journalist was using – text or video – affect how they negotiated this tension? Difference between practices that are legal or illegal and legitimate or illegitimate was very important for my attempt to understand how journalists decided what became news and what information was to remain off the record, as a public secret. Socially legitimate, albeit illegal activities, such as food contraband or smuggling of fuel, were rarely covered in the media. Journalists did not report on practices in which they (or their families, or neighbors) frequently participated. Even the tools of media production–cameras, cassettes, computers–were regularly bought in Paraguay and brought across the border into Argentina illegally, avoiding taxes and other import prohibitions. On rare occasions, when illegal and socially legitimate activities became the subject of news stories, the print media had an advantage over television and even over radio. I learnt this while working on an episode about irregular adoptions and child trafficking for an investigative television program “Proximidad”: people were more willing to share what they knew when the interaction between journalists and residents did not entail the use of cameras or voice recorders. One of the themes in your book is a running comparison between being a journalist and an ethnographer, and you managed to be both in this Argentinean border town. You also talk a great deal about how difficult it was to move knowledge that was generally known but not openly discussed into the public sphere. Could you discuss whether it is a different process for a journalist and for an ethnographer, and if so, how? Anthropologists and journalists both face the challenge of making knowledge that is familiar to few available to others, but it is important to recognize that our work follows professional standards and ethics that may diverge. Journalists must protect their sources, just as ethnographers promise confidentiality and anonymity to their research participants, so from the point of view of those asking the questions and observing behavior the difference is not that obvious. Yet people who agree to disclose sensitive information, to share their private stories, see a difference between a reporter and an ethnographer. On the one hand, people are more familiar with news media as a genre of representation, and this familiarity can help build trust, although it could also undermine it–people are aware that the media sensationalizes issues. Anthropology, on the other hand, is a mystery. When I arrived to start ethnographic fieldwork, people were reluctant to talk to me about anything illegal because they did not understand what the information would be used for: Would I give it to the media, to the police, or to the government? Would the effects of making it public hurt them? With time, as research participants begin to trust the anthropologist, they are more comfortable sharing what they know. But then it is up to the anthropologist to decide what to do with this newly acquired, sometimes dangerous knowledge. Unlike journalists, who publish stories in order to draw attention to an issue, such as drug smuggling or domestic violence, in hopes that public knowledge about it would lead to changing social or political circumstances that make it possible, anthropologists often use the knowledge they gather to engage in internal theoretical debates with other scholars. This scope of our work, limited to circulating the findings within the academe, is not always clear to the people who share their lives with us, sometimes in anticipation that their knowledge could change the status quo. Of course, there are anthropologists–sometimes called engaged anthropologists or public anthropologists–who try to reach out to broader audiences, make their publications part of public debates on current issues, and push for policy changes, but this public engagement is not (or not yet) considered a defining feature of the discipline. My dissertation, “Communicative Care Across Borders: Language, Materiality, and Affect in Transnational Family Life,” explores the role of everyday communication in the lives of multigenerational transnational families living stretched between El Salvador and the United States, revealing how technologically mediated language both produces and contests the political-economic marginalization of geographically mobile populations. These families rely on regular cell-phone calls as a primary form of kin work in the face of long-term physical separation caused by restrictive immigration policies (Di Leonardo 1987), and the dissertation provides a close analysis of these cross-border conversations, informed by insights developed through multi-sited ethnographic engagement. Page 99 is located in the middle of my methods chapter, and discusses the relationships that made this intimate investigation possible, describing how 15 years of connection had resulted in my adoption into several transnational families, signaling close affective ties despite the insurmountable gulf between our political-economic positions. As such, although page 99 is methodological, it draws attention to the primary theoretical contribution of the dissertation, the concept of communicative care. Building on feminist approaches to care, I develop this term to highlight how mundane conversations attend to both material and affective concerns, nurturing the relational ties upon which cross-border families depend. The dissertation analyzes long-distance greetings, collaborative reminiscences, and negotiations of economic decisions, elucidating how each practice works to reproduce material connections between migrants and their relatives back home, while also providing forms of affective engagement that maintain kin ties. In sustaining transnational family life, communicative care practices constitute a creative response to the failures of state care, but one that also reinforces the domestication and privatization of caring responsibilities. Thus, while communicative care is a means of pursuing well-being at the margins of neoliberalism, these strategies simultaneously produce forms of personhood and relationship that conform to neoliberal models. The analysis presented in the dissertation demonstrates the crucial importance of paying close attention to technologically mediated talk for understanding how the tensions of neoliberal mobility are both produced and managed. Lynnette Arnold, “Communicative Care Across Borders: Language, Materiality, and Affect in Transnational Family Life,” Phd diss, University of California, Santa Barbara, 2016. Di Leonardo, Micaela. “The Female World of Cards and Holidays: Women, Families, and the Work of Kinship.” Signs: Journal of Women in Culture and Society 12, no. 3 (1987): 440–453.